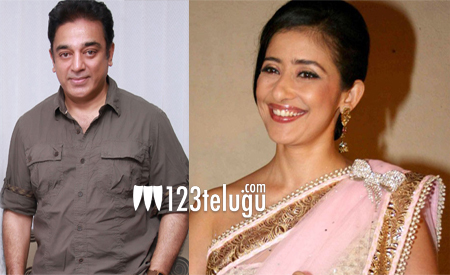 Kamal Haasan to romance yesteryear actress ? 123telugu had already reported that Kamal Haasan will be doing an intense action entertainer soon. Latest update reveals that yesteryear actress, Manisha Koirala will be doing an important role in the film. Reports also reveal that Manisha will play Kamal’s wife in this thriller. Kamal himself has penned the script and shooting of this film will kick start once Kamal finishes his current flick Papanasam. Keep watching this space for more interesting updates on this project.